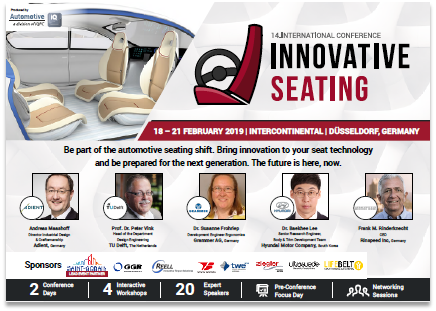 At this conference you will learn about new automotive innovations. Discover light, sustainable, and robust materials & textiles. Smart and connected seats to monitor passenger health and emotions. Learn for cross-industry seat design.